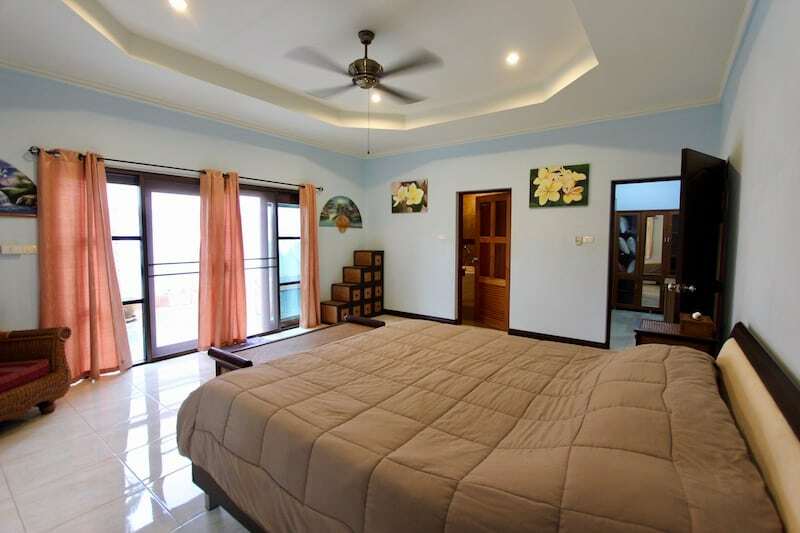 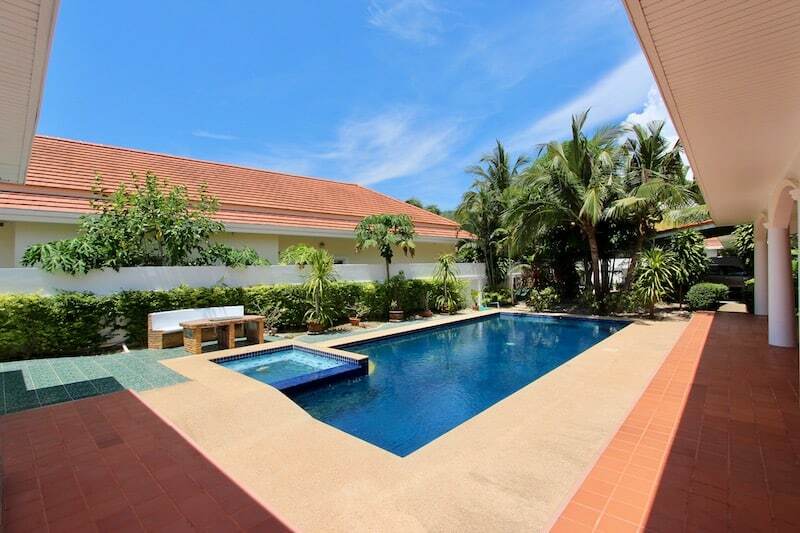 Home CENTRAL HUA HIN HOME FOR SALE NEAR TOWN CENTER, GREAT LOCATION! 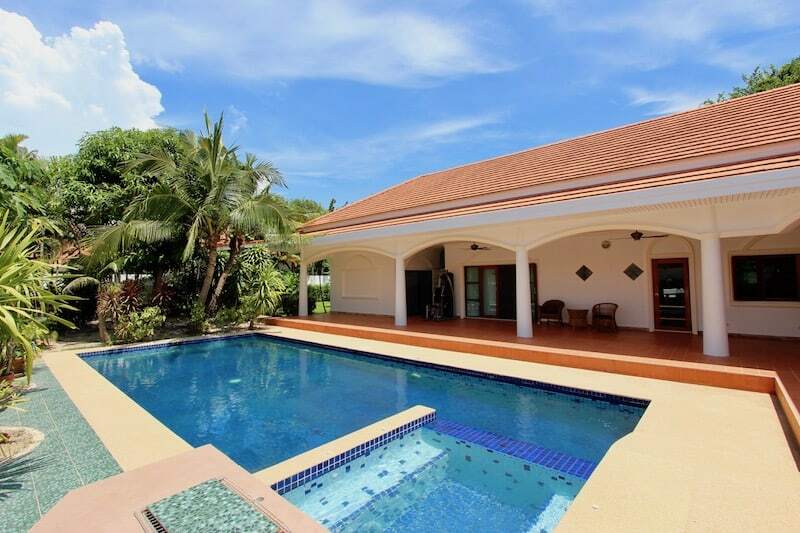 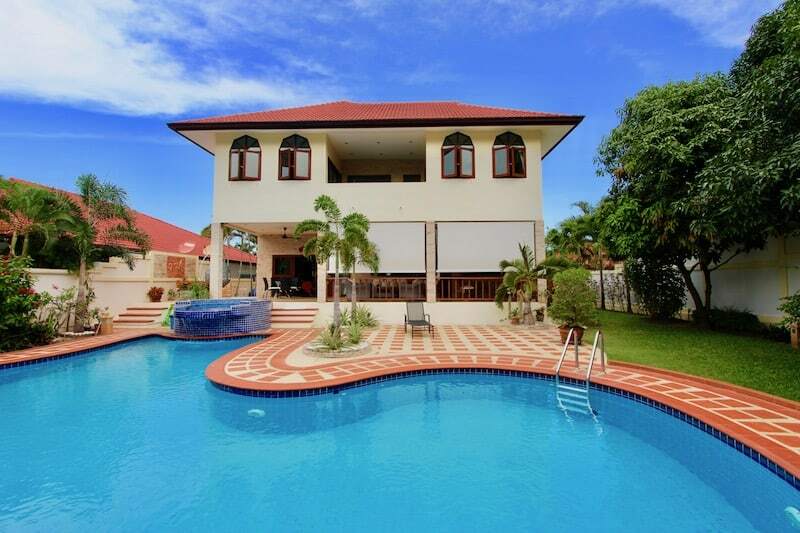 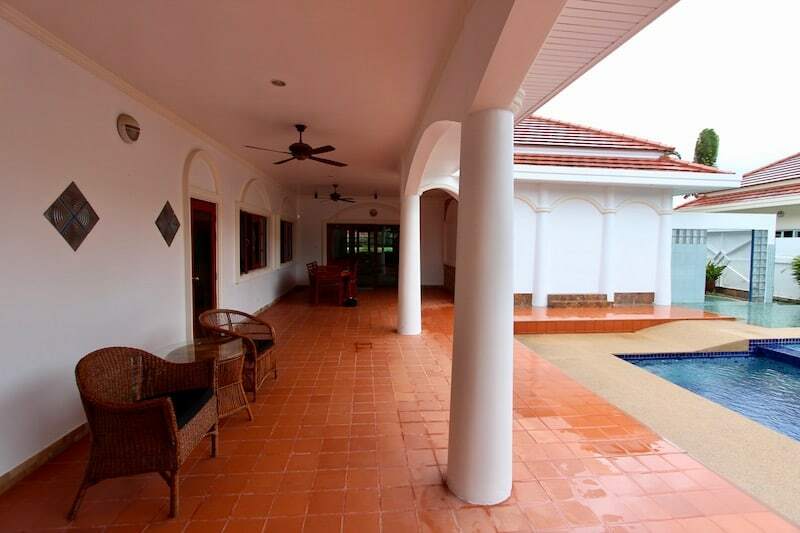 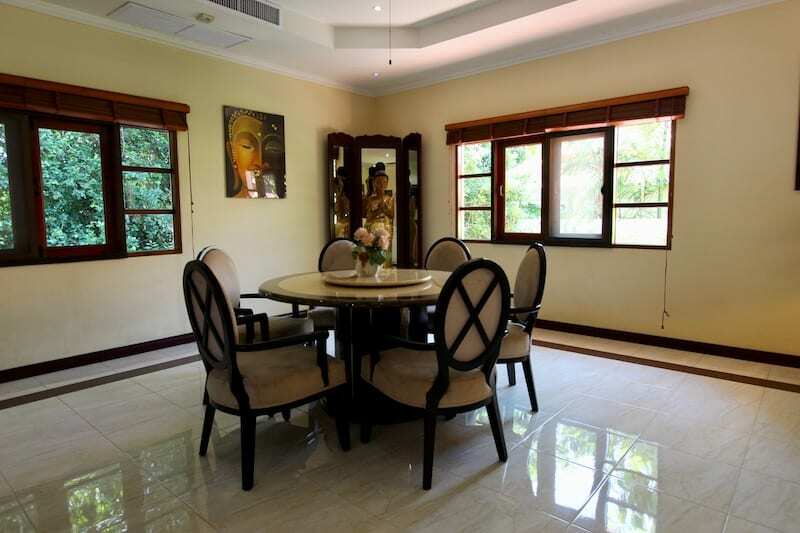 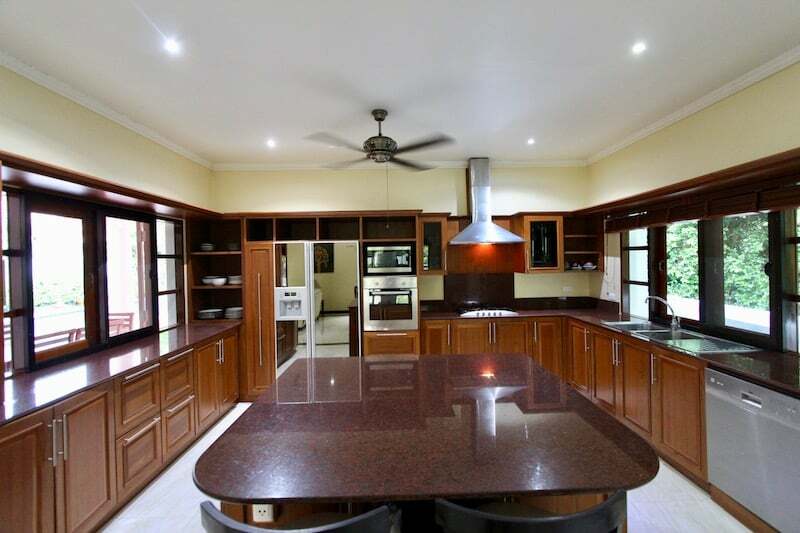 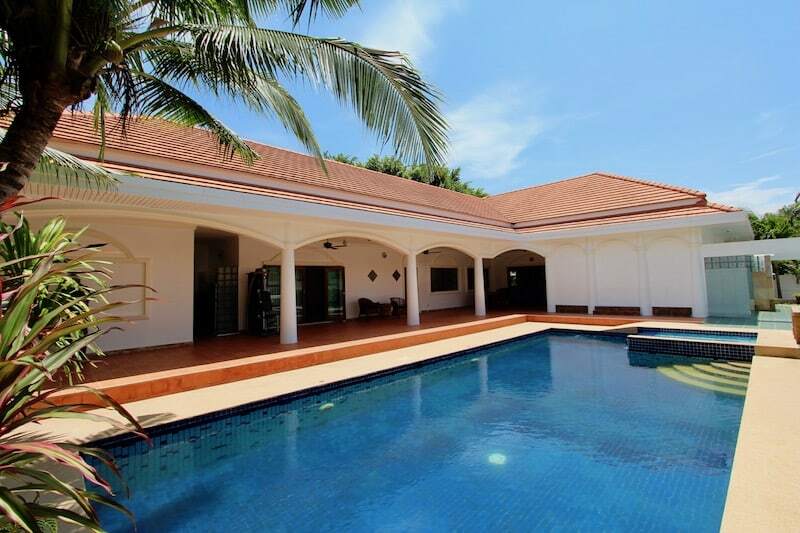 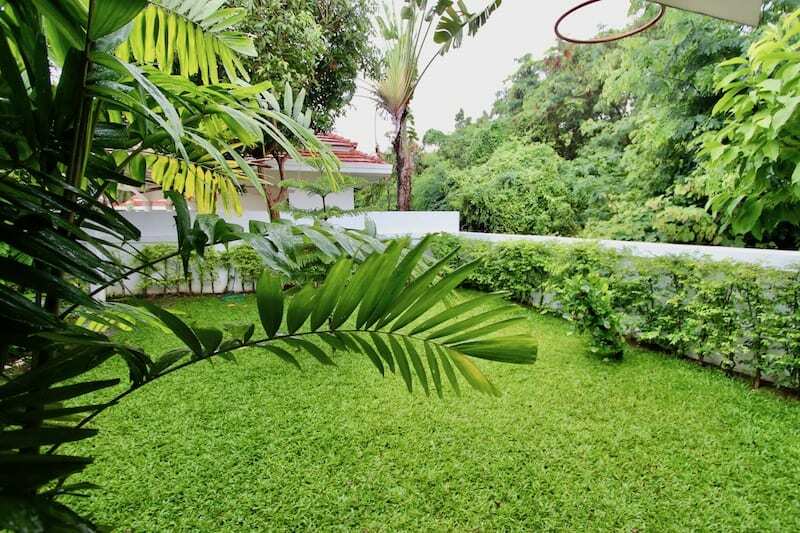 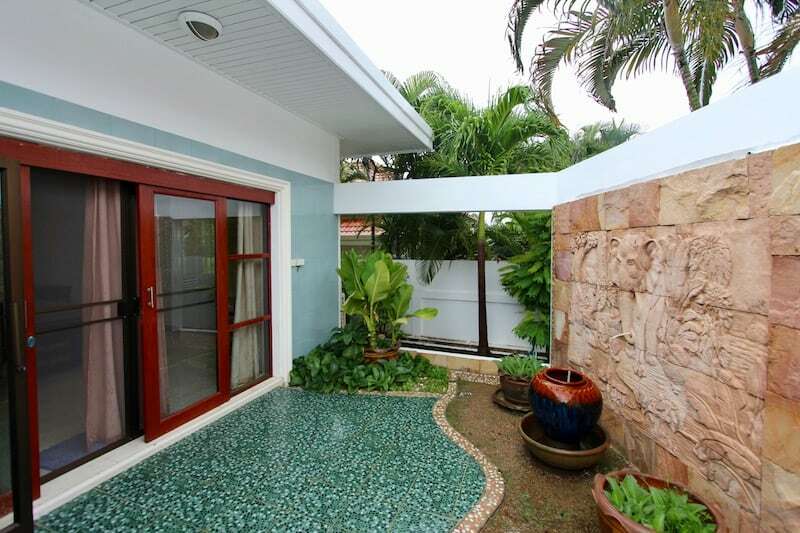 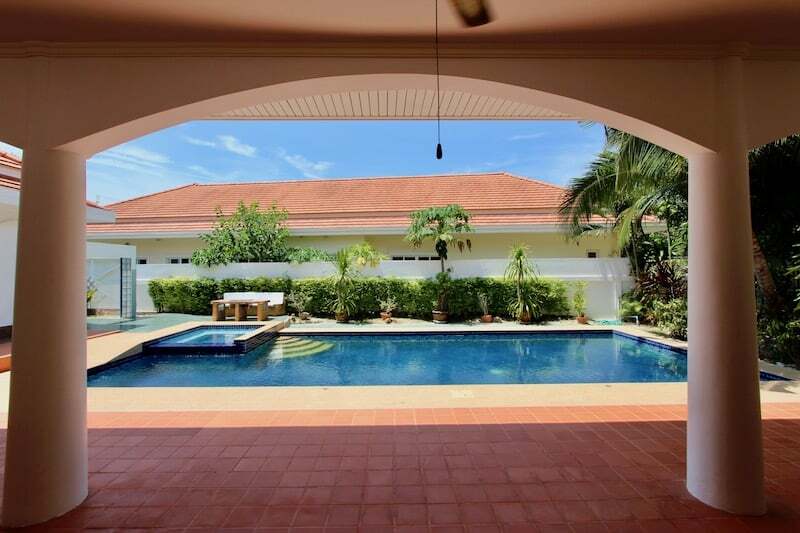 CENTRAL HUA HIN HOME FOR SALE NEAR TOWN CENTER, GREAT LOCATION! 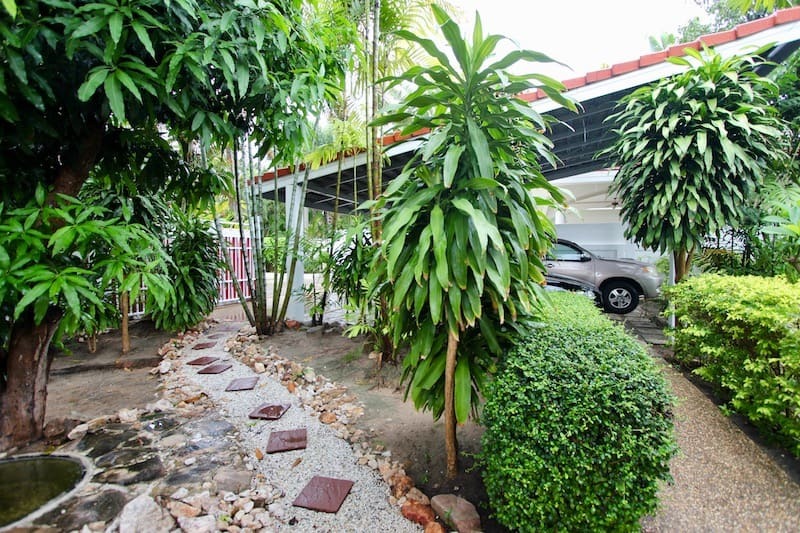 This is a wonderfully maintained home located only 5 minutes from downtown, close to Blúport shopping mall, the beach, True Sports Arena and much, much more. 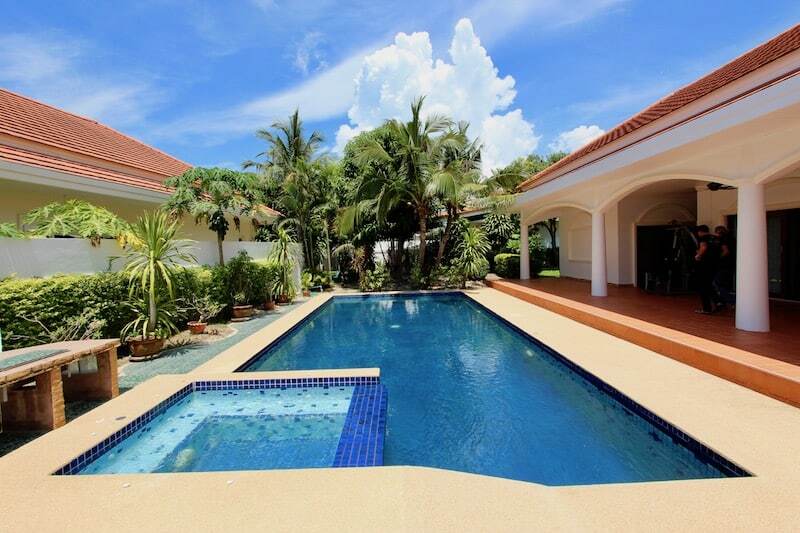 This spacious property with private pool is within a popular, completed development of mostly expat residents and luxury properties, as well as local shops and restaurants. 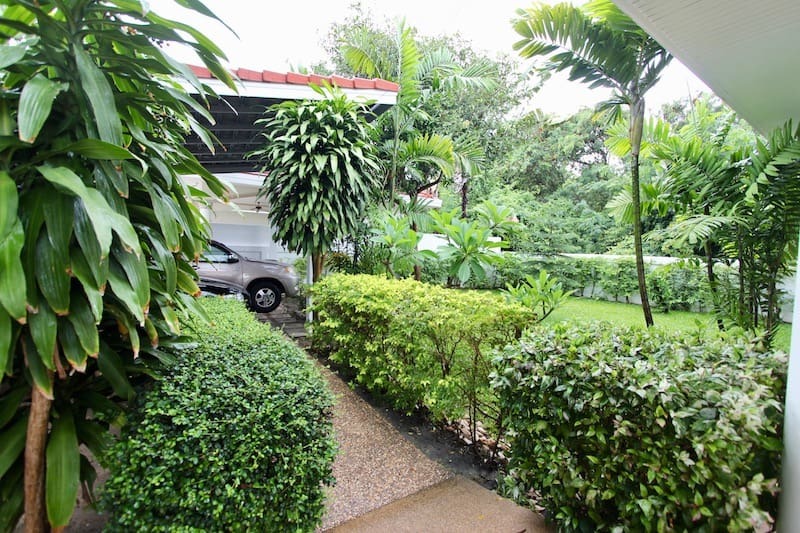 This lovely house has been well-maintained and can quickly be “move-in” ready. 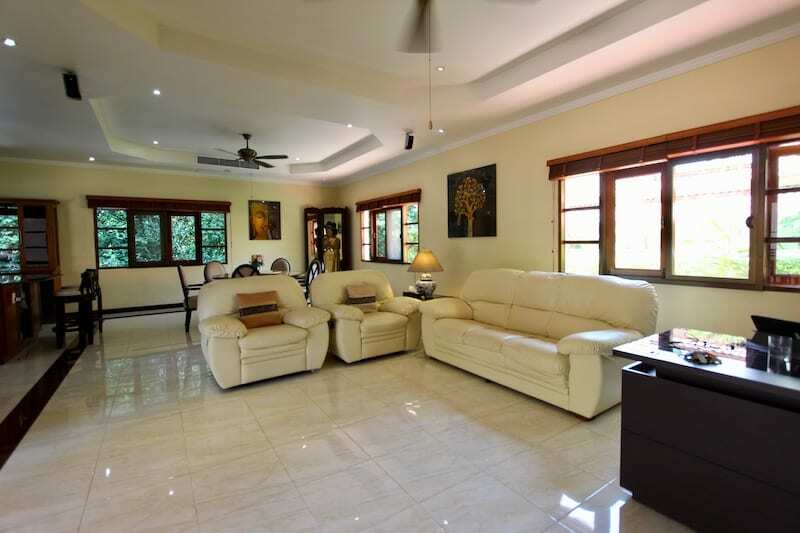 The house has been wired with a surround sound system, an active alarm system, water filtration, & fly screens throughout. 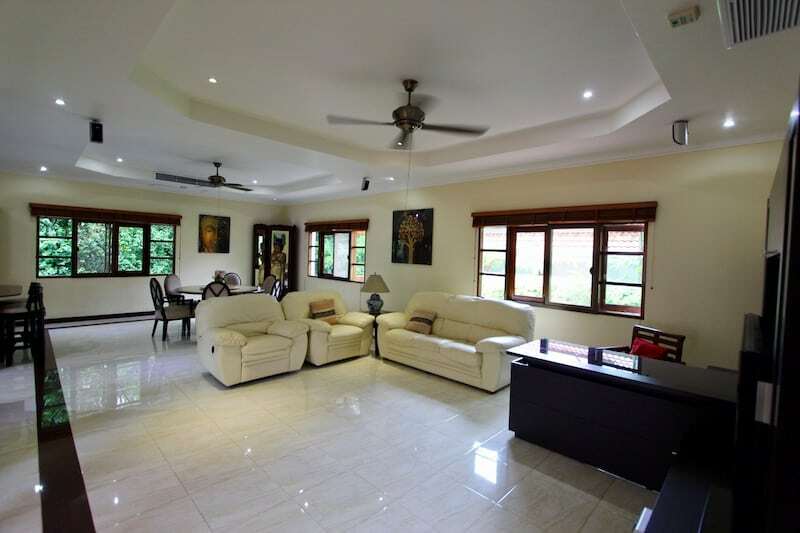 The house layout consists of a spacious living area, three large bedrooms, each en-suite with generous-sized bathrooms, a large covered terrace overlooking a 5m x 12m swimming pool & jacuzzi, and lush gardens. 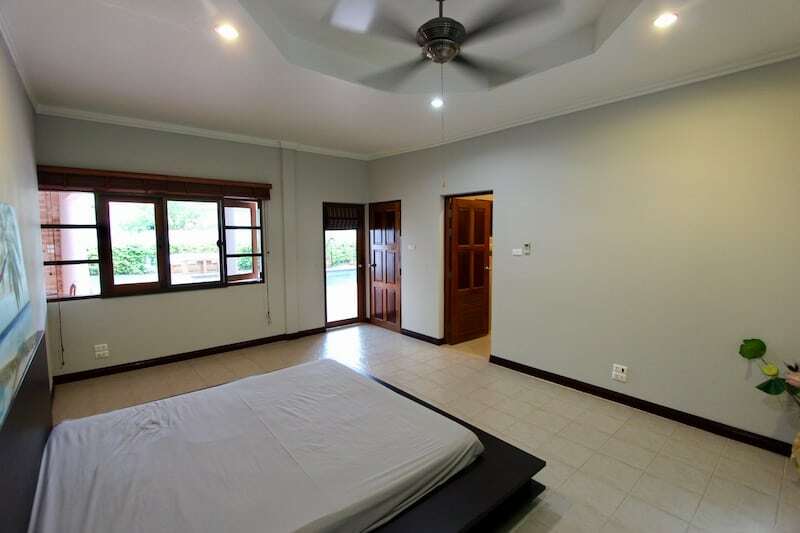 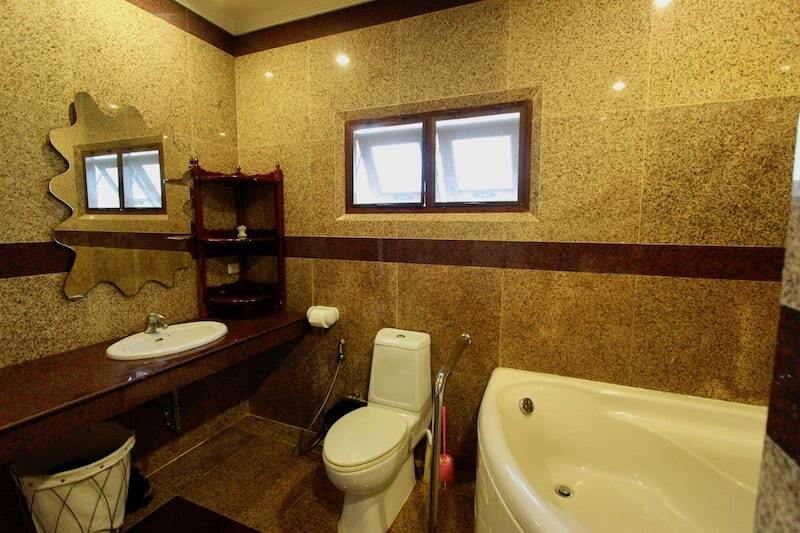 Just off of the covered terrace is a separate office suite, an outdoor kitchen, and a 4th guest toilet (no need to enter a private bedroom to use the toilet). 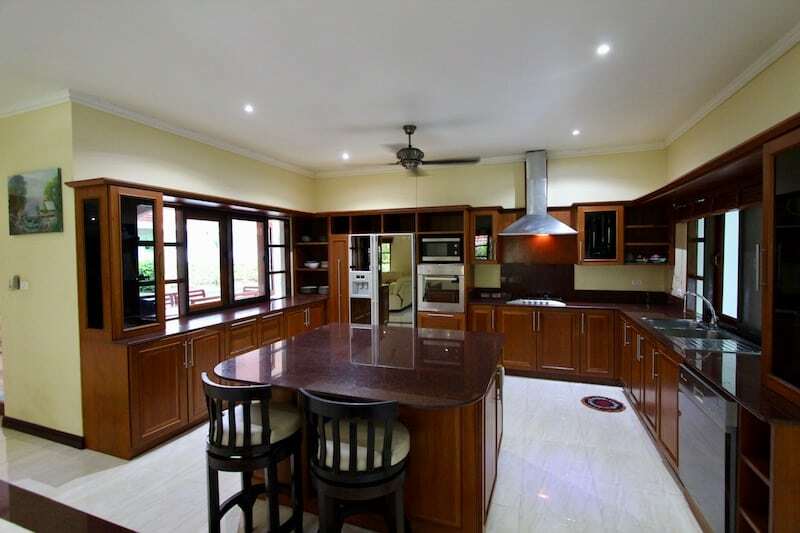 The open-plan design comprises the living & dining room and an expansive, western-style gourmet kitchen with granite countertops, a large central prep-island, & breakfast bar (perfect for social gatherings and home parties). 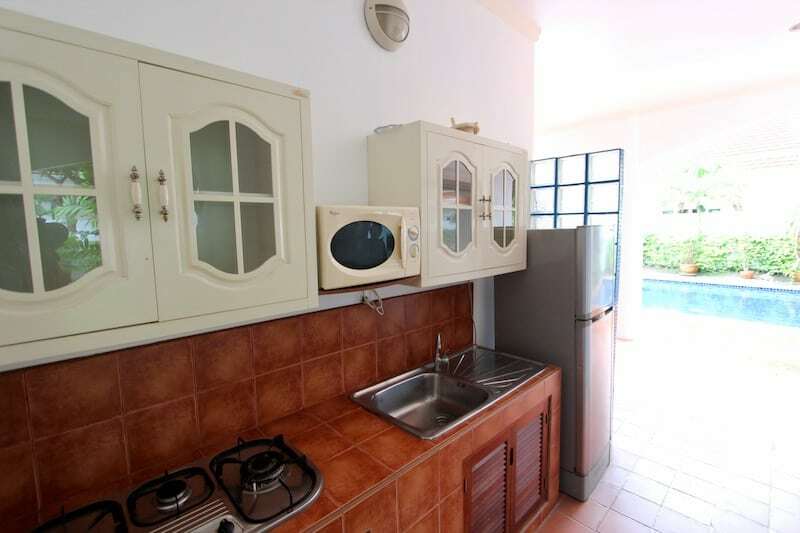 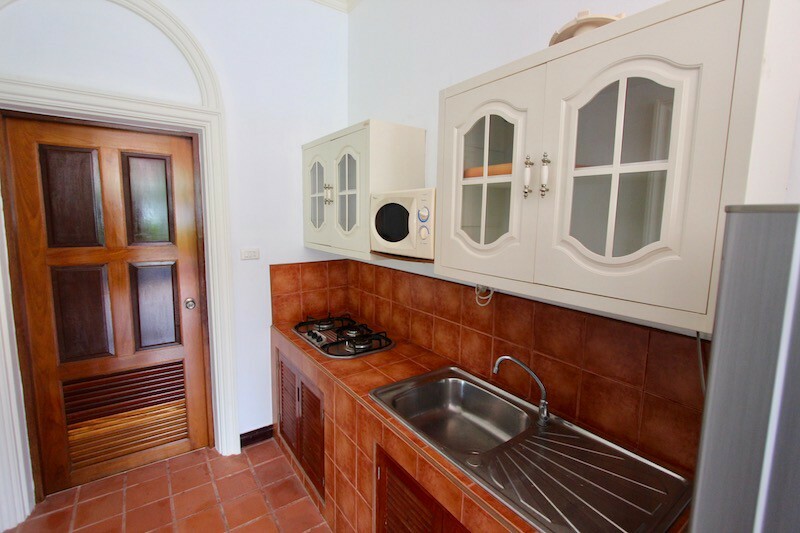 The kitchen has modern appliances and plenty of cupboard space. 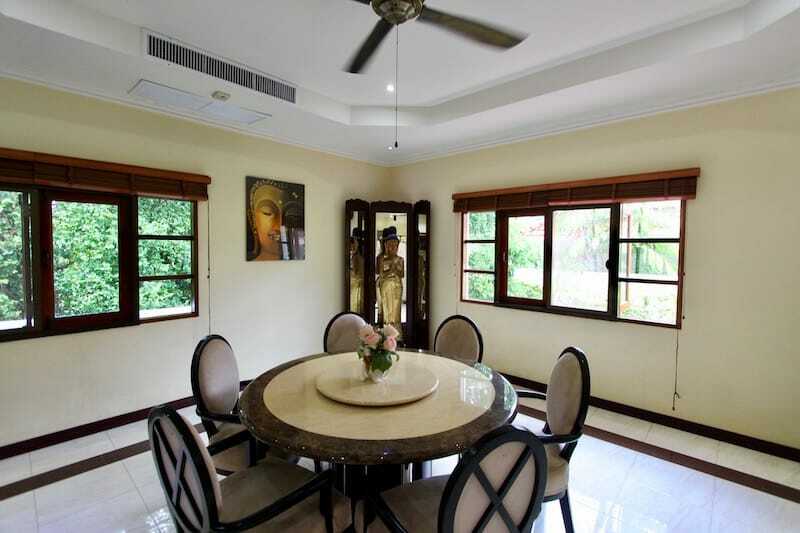 Just off the kitchen is a large pass-through window for serving food and drinks directly to guests socializing on the covered terrace. 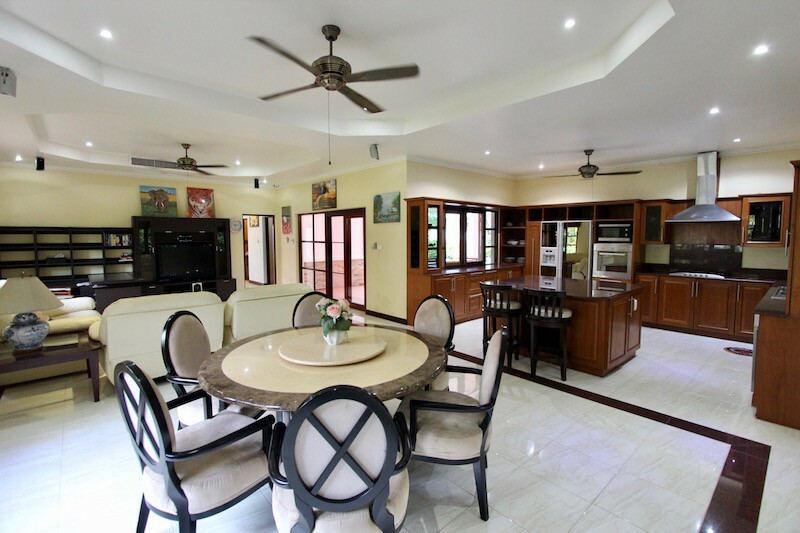 The free flow design allows for airflow through the entire house and helps keep the home cool throughout the day. 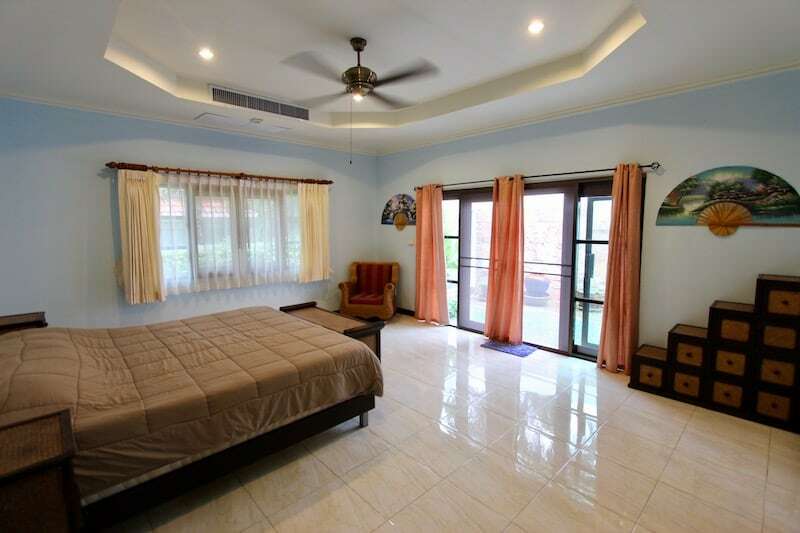 There are ceiling fans and air-conditioning units throughout the house for added comfort. 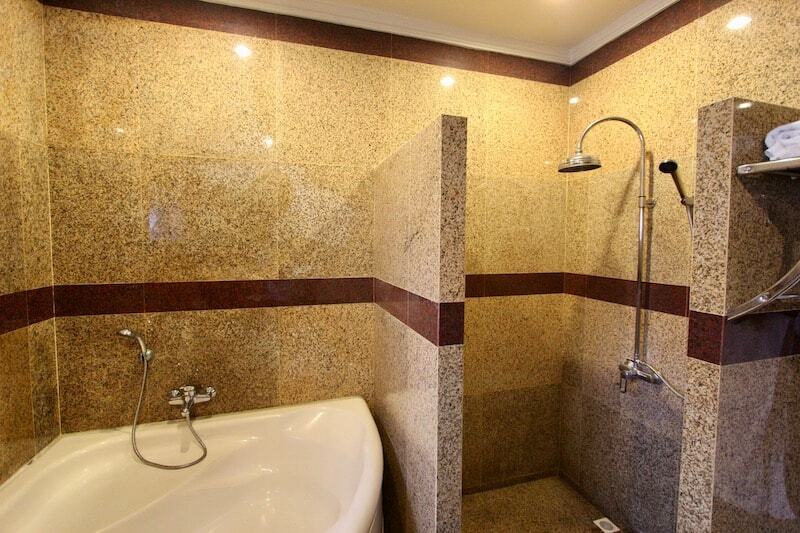 There is a separate laundry room plus an extra storage room and a covered carport with space for two vehicles. 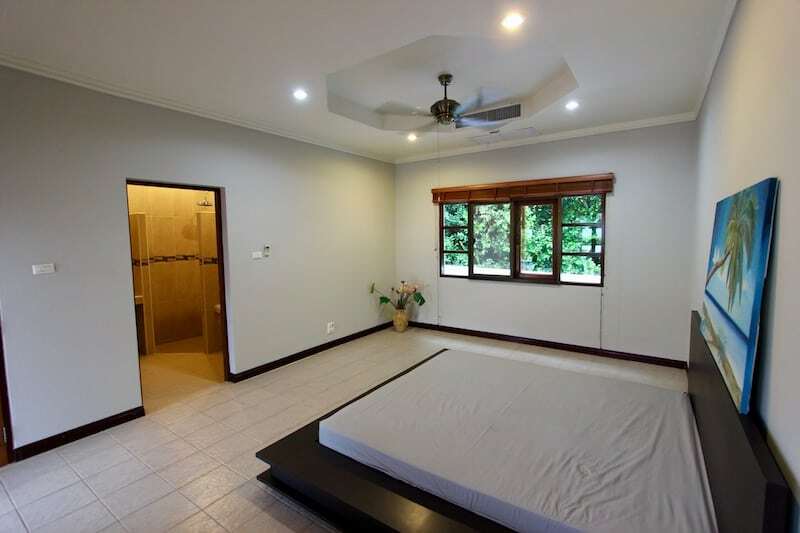 If desired, the separate office could be repurposed into a games room, private gym, or maids quarters.